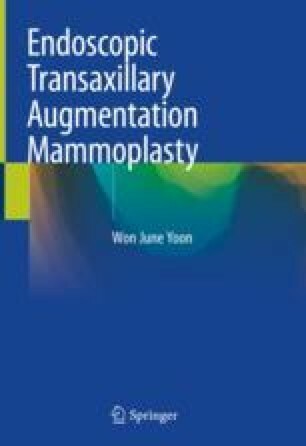 Unlike the anatomy required for augmentation mammoplasty using inframammary fold incision, in the case of an augmentation mammoplasty using axillary incision, the anatomy of the axillary area must be further understood. The thoracic fascia system is an important structure in the breast. In augmentation mammoplasty, it is important to preserve the thoracic fascia system as much as possible. There are higher risks of complications, including double-bubble deformity or long-term bottom-out deformity, if the fascia system is damaged.